H2SO4's Shiroi Hanabira (白い花びら) was released during Comiket 73, which was way back at the end of 2007. It's a full color, staple-bound collection of illustrations that includes four art works by other Korean artists like Tearfish and Tiv. On the up-side, it's all beautiful color art work, but on the downside, it's a very slim 16 pages without counting the covers. 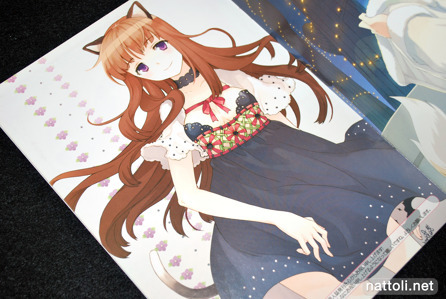 The two cat-girls on the right were originally done for Toranoana goods. 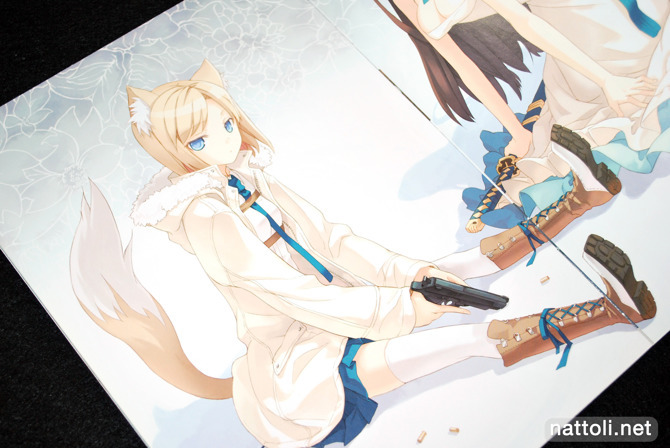 She's slightly altered in this doujinshi though, the Toranoana one has white stripes on the ears and tail. 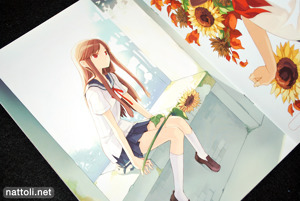 These last two illustrations were original drawings for a Mandarake event telecard. 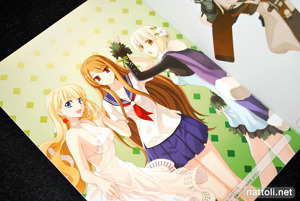 The two girls on the left appeared as line art in H2SO4's works vol.02 Tropical Nights, which was the summer Comiket release for the same year. 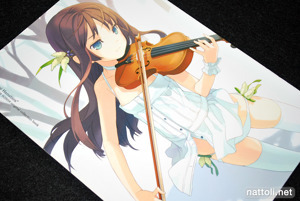 Does Mandarake have a character mascot like Toranoana and Melonbooks? 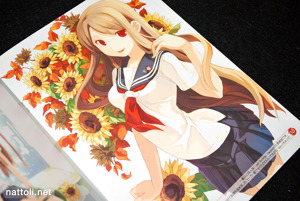 From this point on, all the illustrations are guest art works. I was really tempted to put this Tiv illustration as the opening picture for this post, but it would've caused some confusion ^^; All the art works are of H2SO4's characters, by the way. I think Tearfish really complements H2SO4's style. They could pair up, and become like CUT A DASH!, QP:FLAPPER, or Ice & Choco. These last two are by Jaerun and LEONA respectively. Both are really nice for guest arts, and I like how LEONA has combined H2SO4's cover girls into one picture. 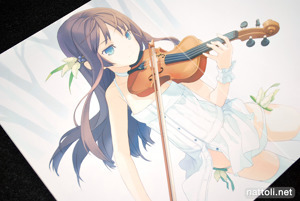 This doujinshi isn't terribly hard to get, it pops up often in Yahoo! Japan auctions and on Mandarake for a reasonable price. Makes me wish it was this easy to get other Korean artists' works. I'm looking at you nardack! 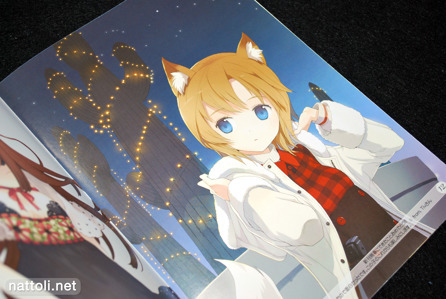 I love that top image, looks like saber as a fox XD great review thanks. Only 16 pages? How is the book quality? Is it sturdy or does it feel flaky? Very nice doujinshi. I would really like to get something from tearfish, H2SO4, Tiv or Nardack... 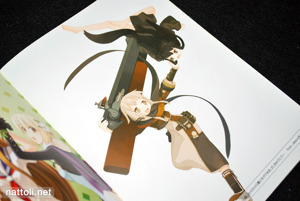 Except the Pixiv artbook, I don't have any Korean artwork. I wish it was easy to get.